Contains the following: Native American $1 Coin, Kennedy half dollar, Roosevelt dime, Jefferson nickel, Lincoln penny and five America the Beautiful Quarters. 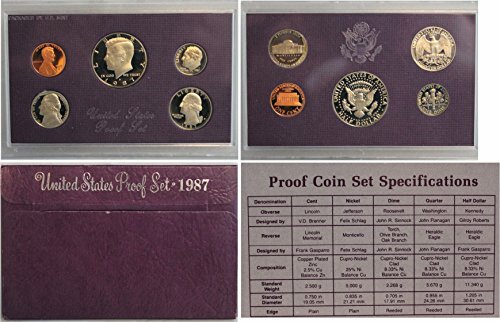 U.S. Mint Coin proof sets are a treasured cornerstone for any numismatic collection. With their unique design and official Certificate of Authenticity, they create beautiful gifts and wonderful keepsakes. In order to create the coin's sharp relief and a mirror-like background, our specialized "proof" minting process requires manually feeding burnished coin blanks into presses where each coin is struck multiple times so the softly frosted and highly detailed images seem to float above the field. The coins are then packaged in a protective lens to showcase and maintain their exceptional finish. 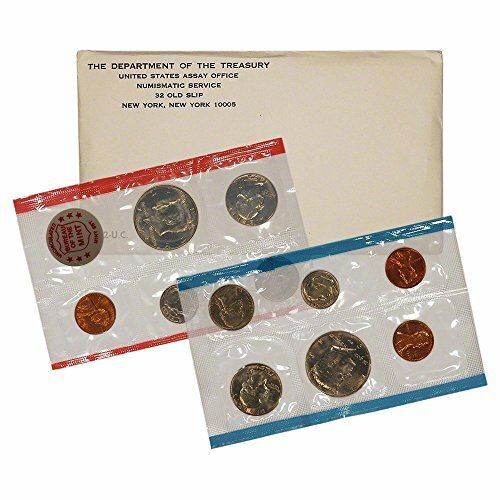 This 10-coin set includes 3 pennies (P, D & S), 2 nickels (D & S), 2 dimes (P & D), 2 quarters (P & D), and 1 half dollar (D). Hurry, order your set today! The 2013-S United States Mint Presidential $1 Coin Proof Set is the seventh annual set of an exciting series honoring past U.S. Presidents in the order in which they served.The 2013 United States Mint Presidential $1 Coin Proof Set features coins honoring Presidents: William McKinley Theodore Roosevelt William Howard Taft Woodrow WilsonEach coin has a common reverse design featuring a striking rendition of the Statue of Liberty. These 2013 coins feature large, dramatic artwork, as well as edge-incused inscriptions of the year of minting or issuance, E PLURIBUS UNUM and the mint mark. IN GOD WE TRUST appears on the face of the coin.This set is a shining example of the United States Mint's commitment to quality and excellence.The "Stock Images" used in this Description are an indicator of the quality of the item you will receive. The actual item you will receive is guaranteed to be as described and depicted. 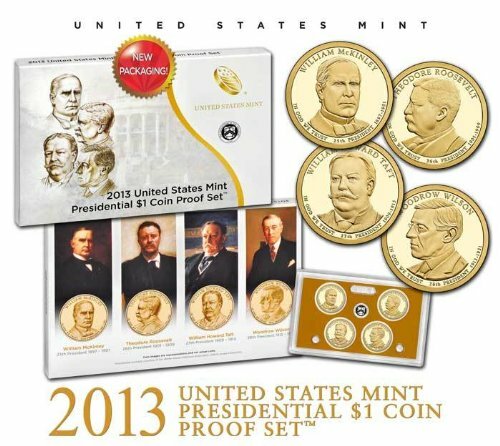 The 2014-S United States Mint Presidential $1 Coin Proof Set is the eighth annual set of an exciting series honoring past U.S. Presidents in the order in which they served. 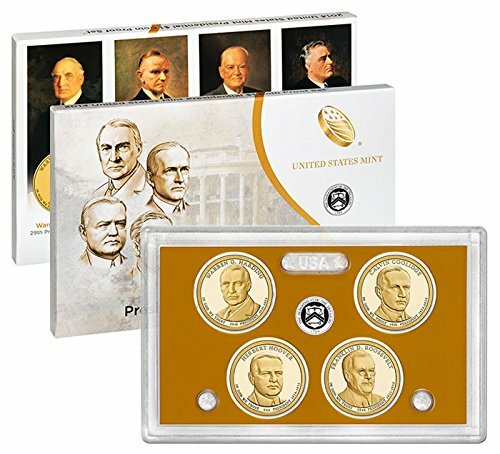 The 2014 United States Mint Presidential $1 Coin Proof Set features coins honoring Presidents: Warren G. Harding, Calvin Coolidge, Herbert Hoover, Franklin D. Roosevelt Each coin has a common reverse design featuring a striking rendition of the Statue of Liberty. These 2014 coins feature large, dramatic artwork, as well as edge-incused inscriptions of the year of minting or issuance, E PLURIBUS UNUM and the mint mark. IN GOD WE TRUST appears on the face of the coin. 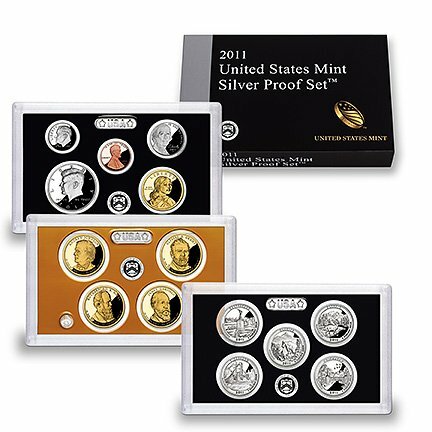 This set is a shining example of the United States Mint's commitment to quality and excellence. The "Stock Images" used in this Description are an indicator of the quality of the item you will receive. The actual item you will receive is guaranteed to be as described and depicted. U.S. Mint 2011 14-coin Silver Proof Set The 2011 set is an amazing value. Three plastic cases full of all 14 silver proof and proof coins issued for 2011! One case holds all five 2011-S Silver National Park Series Quarters: A second case holds the 2011-S Silver Kennedy Half Dollar and Roosevelt Dime, plus the 2011-S Lincoln "Shield" Cent, the "Return to Monticello" Jefferson Nickel, and Native American/Sacagawea Dollar. The third innovative case, allowing an edge-view of all the coins, holds the four 2011-S Presidential Dollars: Andrew Johnson, Ulysses S. Grant, Rutherford B. Hayes and James Garfield. 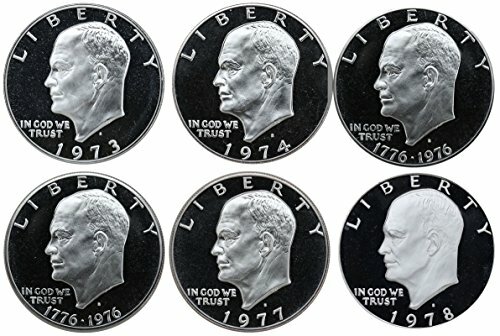 All 14 Gem Proof coins issued from the San Francisco (S) Mint in 2010. U.S. Mint issue Silver Proof coins are 90% Silver. Comes complete in government packaging with Certificate of Authenticity from the US Mint. The 2008 United States Mint Presidential $1 Coin Proof Set is the second annual set of an exciting series honoring past U.S. Presidents in the order in which they served. 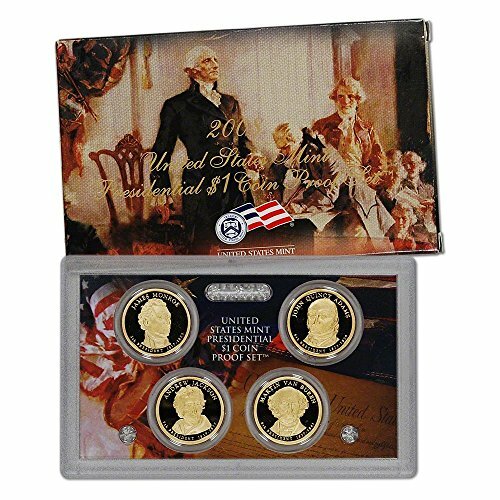 The 2008 United States Mint Presidential $1 Coin Proof Set features coins honoring: James Monroe John Quincy Adams Andrew Jackson Martin Van Buren Each of these 2008-dated coins bears the "S" mint mark of the United States Mint at San Francisco. Each coin has a common reverse design featuring a striking rendition of the Statue of Liberty. 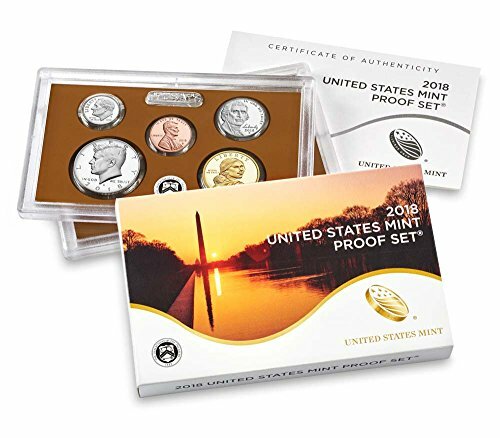 This set is a shining example of the United States Mint's commitment to quality and excellence. 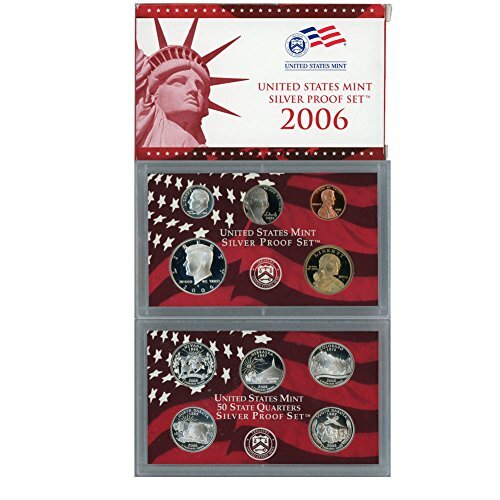 2006-S US Mint 10 Coin Silver Proof Set Original Government Packaging-Since this set is pre-owned it will show wear on the outer box. Compare prices on Dollar Us Mint Proof Coin at ShopPlanetUp.com – use promo codes and coupons for best offers and deals. We work hard to get you amazing deals and collect all available offers online and represent it in one place for the customers. Now our visitors can leverage benefits of big brands and heavy discounts available for that day and for famous brands.